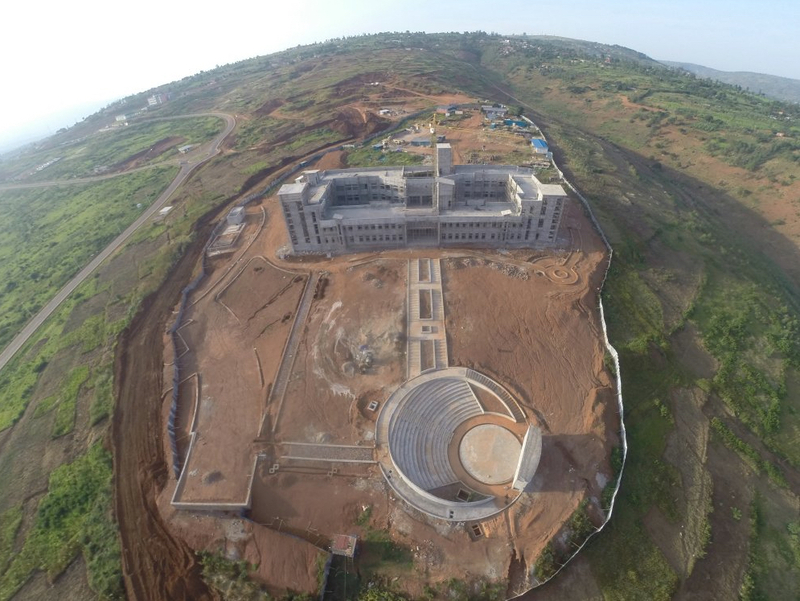 The prestigious American tech university, Carnegie Mellon; will soon complete construction works of a spectacular US$13 million-campus on a suburban hill of Kigali. This is the first fully-fledged campus in Africa to be operated by the highly ranked American university, funded by the African Development Bank in a unique tripartite partnership with the government of Rwanda and Carnegie Mellon University. The university is temporarily being housed at Telecom House since 2012 before it relocates to the Kigali Economic Zone where it will have a main academic building that encloses faculty and administrative offices, a café, a bookstore, a library and a resource center. Uganda has the Mulago Teaching Hospital in Kampala with US$88.8 million of the fund and the Bamako Digital Complex in Mali for US$22.5 million. By using new technologies to improve learning outcomes, the campus is also seen a boost to science and technology and job creation. The center, which is located in a high-end industrial zone designated by the government of Rwanda, will comprise of an innovation incubator, an executive education center, a mobility research center, a practical training center and a graduate education program. There will also be an amphitheater for about 500 persons with an integrated movie projection capability; a student activity center; five student lodging buildings; one faculty housing building; and a gate house, according to the university website. At the moment, the education program is up and running at the Telecom House; an ICT Park that houses an incubator for ICT Startups and a massive government data center. Currently, the university offers two master’s degree programs including the Master of Science in Information Technology (MSIT) and the Master of Science in Electrical and Computer (MSEC) taught by the worldwide well-known lecturers. The lecturers have the same standards as those who work at the main Carnegie campus at Pittsburgh as Lynn Kirabo, graduates say. Before graduation, students at the Rwanda campus are given chance to do internships at the main campus; Pittsburgh and campuses at the Sylcon Valley known as the home to globally known tech companies like Facebook, Apple, Google, and Yahoo. The university chose to set up in Rwanda due to the country’s economic growth records and a political will to be an ICT-driven economy. Addressing graduates of 2015, Jahen Cohon, the President the Mellon’s Civil and Environment Faculty, he said the university’s presence was to honour the invitation from President Paul Kagame and play a role to achieve his Vision 2020 agenda. “We know that, we know that is why we are here’’.